Treaties between the United States and northwest Indian tribes regarding salmon fishing have spawned litigation for over a century. In next Wednesday’s oral argument in Washington v. United States, the Supreme Court will consider a significant and consequential question in this area: Do tribal fishing rights guarantee some degree of protection of salmon populations — thus precluding actions, like the state of Washington’s maintenance of under-road culverts, that may harm salmon runs — or do the treaties merely guarantee a share of otherwise available fish? Because the case dates all the way back to Justice Anthony Kennedy’s time on the U.S. Court of Appeals for the 9th Circuit in the 1980s, Kennedy is recused, and only eight justices will participate. By way of background, in the 1850s, the federal government entered into a series of treaties with Indian tribes in what are now the states of Idaho, Montana, Oregon and Washington. In these treaties — known as the “Stevens Treaties” because they were negotiated for the U.S. by Isaac Stevens, then the governor of the Washington Territory — the tribes ceded most of their territory to the U.S., but retained, in return, “the right of taking fish, at all usual and accustomed grounds and stations … in common with all citizens of the Territory.” In the years after the treaties were signed, Washington resisted compliance, endeavoring to exclude Indians from their fishing grounds through discriminatory regulation (which the state now “acknowledges and regrets”). In 1970, the United States began this litigation to clarify the tribes’ rights under the treaties. In an earlier phase of the litigation, the Supreme Court held, in a case called Fishing Vessel, that the treaties guaranteed the tribes not merely an “equal opportunity” to fish, but rather “a share of each run of … fish that passes through tribal fishing areas,” with a maximum allocation of 50 percent — though the parties now dispute how to interpret that ruling. Then, in 2001, the United States and the tribes commenced the present phase of the litigation, identifying the state’s culverts as an unlawful interference with the tribes’ fishing rights. 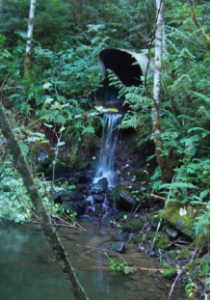 (The tribes’ brief contains photos showing how poorly designed culverts strand and harm fish.) After extensive proceedings below, including a bench trial and failed settlement negotiations, the district court entered an injunction ordering the state, among other things, “to correct many of its barrier culverts within 17 years,” and the 9th Circuit affirmed in the decision under review. As it now reaches the Supreme Court, the case presents three questions. The first and core question, as noted above, is the scope of the fishing rights secured by the treaties. Perhaps just as importantly to Washington, two additional questions consider the appropriate remedy if the state has violated those treaty-based rights. First, regarding the scope of the treaty, Washington characterizes the 9th Circuit’s ruling as promising the tribes that the fish population must always be sufficient to provide the tribes a “moderate living,” and it criticizes this standard as unfounded in the text or intent of the treaty and unworkable in practice. (After taking a broader position below, the state does now concede that the treaty does not allow it to “destroy the fishery” — a concession that will likely come up at oral argument.) The state also stresses that in Fishing Vessel, the Supreme Court already held that the treaties confer “a fair share of the available fish” (and no more than 50 percent), and impliedly rejected a separate duty to keep fish available in the first place. The state cautions that such a duty would “expos[e] a whole range of activities to challenge under a highly indeterminate standard”; indeed, it would render illegal many federal actions and installations, like dams. 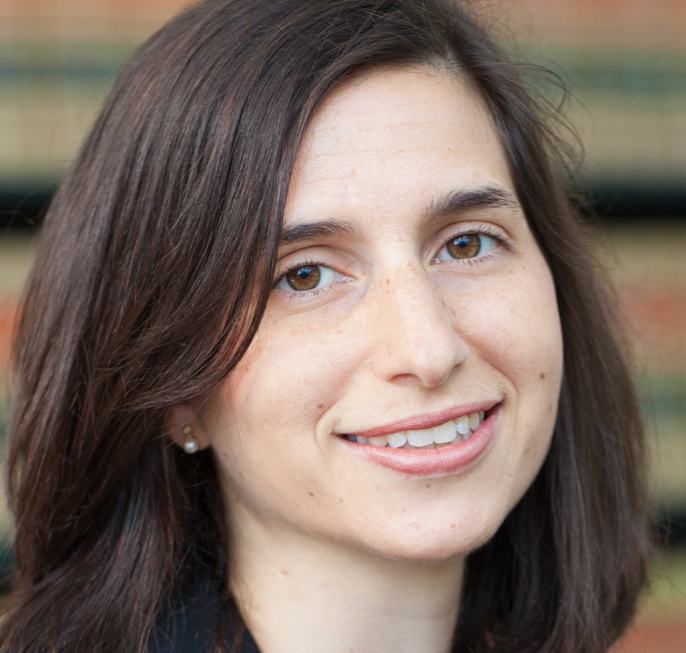 Supporting briefs by businesses assert that the 9th Circuit’s interpretation would have “revolutionary” consequences; a group of 11 states warns that the interpretation portends an “unprecedented foray into commandeering state decisionmaking” in the many states that are subject to tribal rights of fishing, hunting and gathering. But the United States and the tribes counter the state each step of the way. They argue that it would “render [the treaty] right meaningless” if the state had the right to “substantially degrade” the salmon population. They also note that treaties are to be interpreted “in favor of the Indians” and based on the likely intent of the parties, not on technical readings of the text. They underscore evidence that the treaties’ signatories intended the fishing right — the consideration for ceding most of their land — to be “more than just an opportunity to draw from ever-diminishing stocks.” The United States and the tribes also contest the state’s reading of Fishing Vessel and other cases, urging that the “common thread” in the precedent is that the treaties preserve the tribes’ “meaningful use of their accustomed places to fish.” And the United States and the tribes reject Washington’s contention that the ruling below constrains a wide range of human activity; it does nothing more, they argue, than require the state to stop obstructing fish passage in a way that deprives tribes of the ability to meet their needs. Moreover, now that Washington has conceded that it cannot destroy the fishery, they argue, it has essentially conceded the case, given the extensive evidence of barrier culverts’ harmful effects. Although it draws on some technical and historically specific treaty law, the case is of broad interest and consequence. The potential recognition of a far-ranging duty to protect fish habitat has spurred amicus briefs from many states and business groups, among others. On the other side, the state’s apparent position that it can freely obstruct salmon runs has drawn attention from other tribes nationwide, along with fishing groups, state and local officials, and professors of property, natural resources and federal Indian law. Furthermore, the case is intriguing because of its somewhat unusual political optics: The Trump administration is praising a broad 9th Circuit ruling in favor of habitat protection, while the state of Washington is invoking textualism in service of pragmatic limitations on its preservation duties. Indeed, the case has so many cross-cutting themes — of Indian rights, environmental protection, federalism, precedent, equity and remedies — that it is hard to predict how the justices will rule. But the ultimate decision will matter greatly, to the state, the tribes and many others.